Stay warm and cozy with this Wisconsin Badgers fleece! Black full zip fleece jacket with dark red details. Features an embroidered Bucky on the left chest so everyone will know you are cheering for UW. Stand-up collar, zipper hip pockets, binding at cuffs and collar, bungee toggle on bottom hem for the perfect fit. Women's fit making it perfect for layering over your favorite Bucky hoodie! Stay warm and cozy with this Wisconsin Badgers fleece! The red full zip fleece jacket with gray details. Features an embroidered Bucky Badger on the left chest so everyone will know you are cheering for UW. Stand-up collar, zipper hip pockets, binding at cuffs and collar, bungee toggle on bottom hem for the perfect fit. Women's fit making it perfect for layering over your favorite Bucky hoodie!! Stay warm and cozy with this Wisconsin Badgers fleece! The white full zip fleece jacket features an embroidered Bucky Badger on the left chest so everyone will know you are cheering for UW. Stand-up collar, zipper hip pockets, binding at cuffs and collar, bungee toggle on bottom hem for the perfect fit. Women's fit making it perfect for layering over your favorite Bucky hoodie!! Layer this full zip jacket over a long sleeve and you will be ready to cheer on the Wisconsin Badgers. 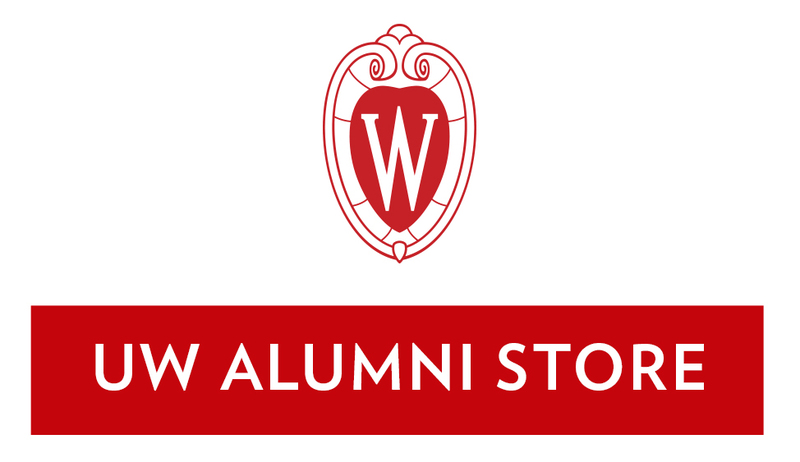 The lightweight track jacket features Bucky Badger embroidered on the left side of the chest. Features a self fabric, stand up collar, contrasting color inside collar and zipper, open on-seam hand pockets, and adjustable bungee toggle at the bottom for the perfect fit. Cheer on the Wisconsin Badgers in this cute satin jacket! The red jacket features Bucky Badger embroidered on the left chest. The full zip front makes it easy to layer on cooler days. The hand pockets are detailed with zippers to keep everything safe while you Jump Around. Stay extra cozy with this soft sherpa fleece vest. The full zip vest features with Wisconsin motion W on the left chest. The side pockets will keep all your stuff safe while you Jump Around. Detailed with a bungee at the bottom making for the perfect fit. Stay warm and cozy with this great layering piece. The full zip style features red piping detail around the collar, sleeves, and bottom. The Wisconsin motion W is embroidered on the left chest making it perfect for game day. The Polartec fleece adds warmth without the weight, is highly breathable, pill resistant, durable, and makes for easy care of this super soft jacket. Also features on seam zipper pockets to keep all of your belongings safe while you Jump Around. This is a must for any Wisconsin fan. Add some Wisconsin pride to any outfit with this fleece vest! The black vest features an embroidered motion W on the left chest to show off your love for the Badgers! The zippered hand pockets will keep all of your items safe while you jump around! The flattering silhouette and stretch properties make for a great look and feel.